I decided a long time ago not to get anymore tattoos but then made the decision to get one last tattoo to celebrate my new life. All my tattoos are hidden for the most part except in the summer time when I wear less on top which show my shoulder tattoo. For celebrating my new life the tattoo needs to be visible, a constant reminder of starting over. So I elected to get one on the inside of my left wrist as I am left handed and would be able to look down and have good thoughts. I visited the tattoo shop today but they were super busy, lots of large artwork being done. 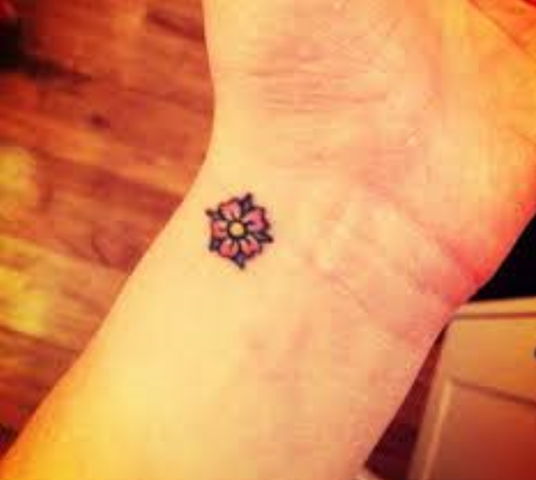 This means tomorrow afternoon I am getting the tattoo. I would like to add that each and everyone of my tattoos have meaning, some can be expressed verbally while others I keep to myself. Update: Tattoo done today along with a touch up for stars on the back of my neck.